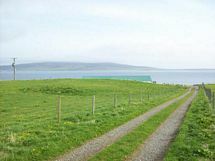 Ground extending to 4 acres or thereby containing galvanised steel shed 100ft x 50ft presently operated as lobster ponds, and with outline planning permission for the erection of a dwelling house. Opportunity to continue the present use or utilise the tremendous development potential. 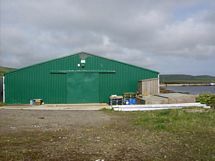 Private road leads to building containing lobster ponds at shore. 2 pumps with separate intake pipes plus 1 new spare electric motor. Also 1 new small pump which is fixed but not plumbed in. 1 air blower and 1 new one (spare). 2 three phase generators driven by 6 cylinder diesel engines each one capable of powering the entire operation. Three phase mains power to premises; water and telephone connections; drainage to septic tank. Approximately 0.1 hectares square (1000m sq.) 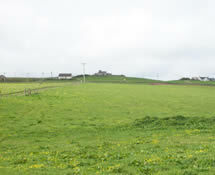 on lower end of ground (closest to shed) with outline planning permission for erection of a dwelling house. 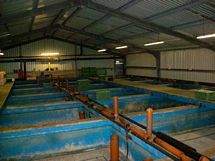 Mains water; electricity; drainage to septic tank. Written offers should be lodged with the selling agents. Only those who have formally noted an interest through a Scottish solicitor will be advised of any closing date. This listing has been viewed 25455 times.